The Boeing 787 Dreamliner is very comfortable and even for someone with long legs like me, there was enough room to feel comfortable during a long flight. The smiling flight attendants are helpful and pleasant and were very accommodating about food. The Western and Japanese meals are very good, and the films offered kept me busy for the 12 hours on the flight and I arrived rested, both on the way there and back! 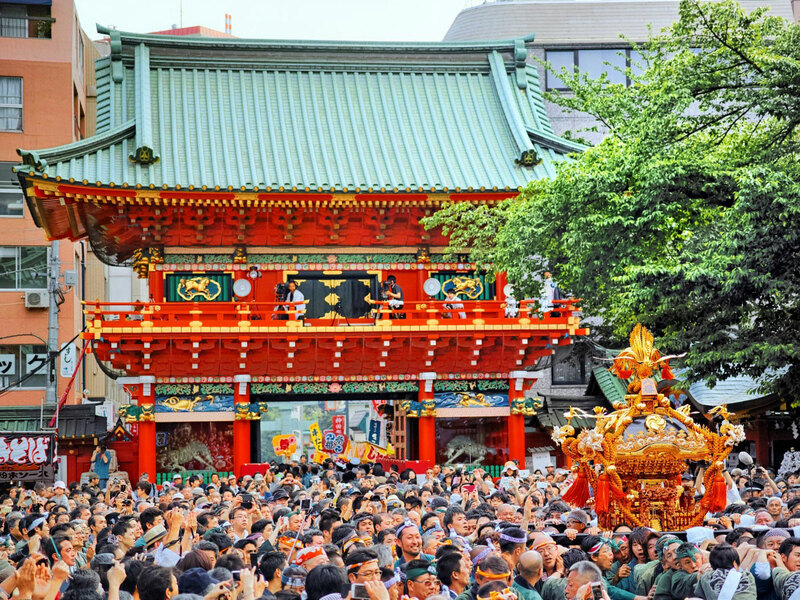 The Kanda Shrine, located near Akihabara, is a shrine in Tokyo which is worth a visit. I liked the atmosphere of Japanese traditional shrines. I especially liked the fact that this shrine was not very touristy and that it has been updated to attract younger visitors. With manga character ema boards, and the temple's popularity among idols, with modern exhibitions combining traditional art and pop culture, the sanctuary is resolutely modern and youth-oriented. The traditions of a thousand-year-old religion blend perfectly with Japan's modernity and its visit completes a trip to Akihabara. 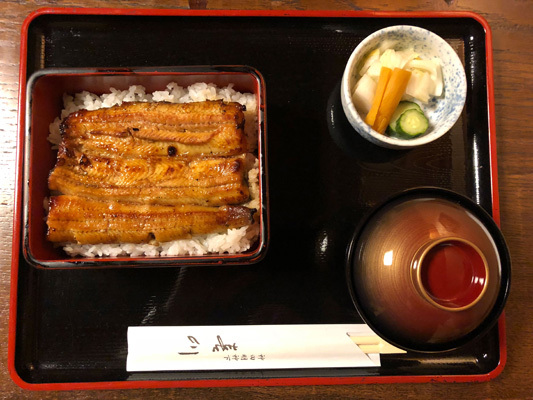 Just behind the temple is a traditional restaurant that I would recommend trying one of the most popular dishes in Japanese cuisine: kabayaki made from unagi, the Japanese freshwater eel. I really enjoyed my meal, which turned out to be delicious, especially the miso soup that came with it! A delight! Just a stone's throw from the electronic district of Akihabara is the mAAch Ecute Kanda Manseibashi, a place I didn't expect to discover in this district! 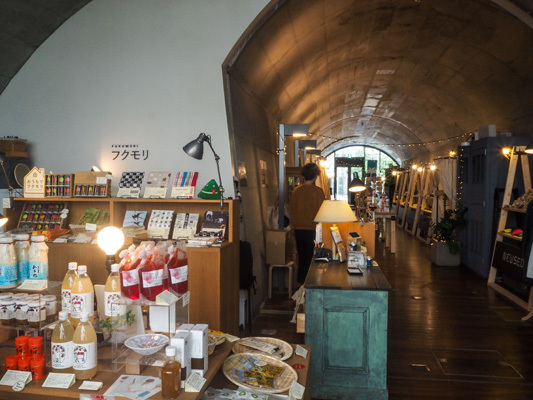 A former railway station and museum, today it is a design gallery comprising shops, cafés, restaurants and bookshop, with a view of the river and the electronic district. This spot is unexpected, pleasant to visit for its shops, but also for its history and to enjoy a short break in a quiet spot. We went to Kanda Myojin in the vicinity of Akihabara district. I was very pleased to be able to visit it and learn more about its origin. A pleasant little restaurant located just behind the park. 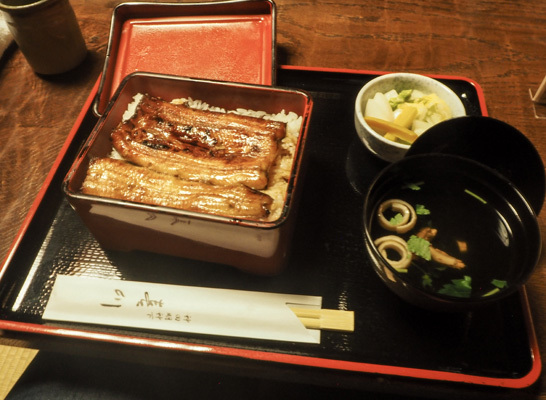 The unagi we ate was very good and we were lucky enough to be able to have lunch in a room with tatami for a truly authentic experience. 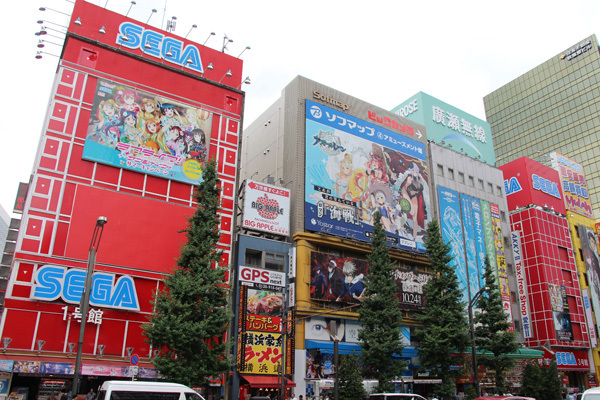 We immersed ourselves in the "Electric Town" district of Akihabara. 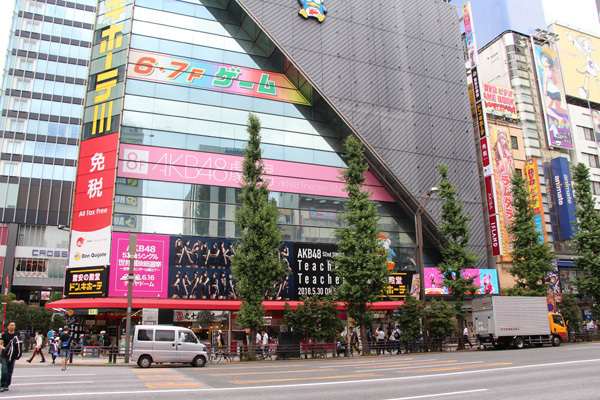 Among the places we visited and that I recommend, Anime stores (for manga and related products), SEGA and Adores' arcades, and the AKB48 Café. 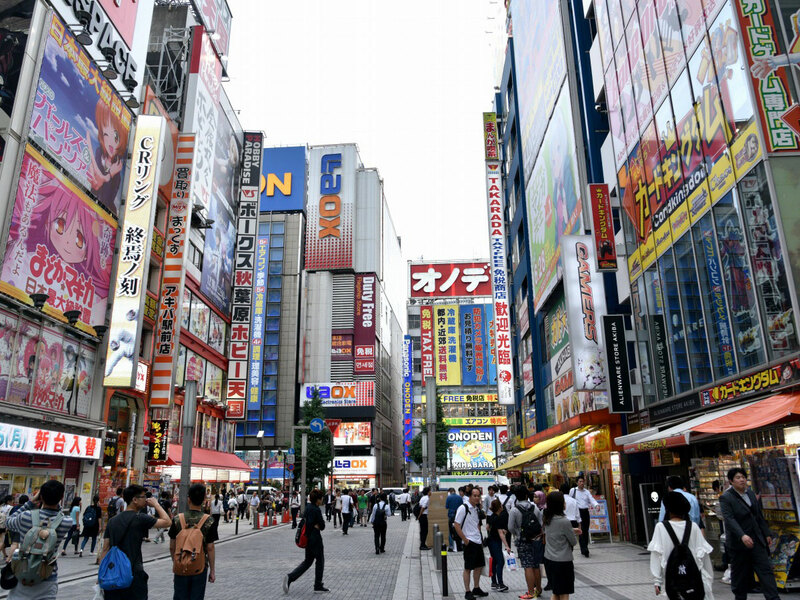 Akihabara is very well known and a district not to be missed during a visit to Tokyo. I never got tired of going to the Electronic district and manga area day or night to absorb the surrounding activity, watch passers-by, or to try out some entertaining activities, like video games or theme cafés, or simply to shop for electronics. There is always something new to discover when passing through Akihabara, and even sometimes places completely out of the ordinary, such as the mAAch Ecute Kanda Manseibashi, the 2k540 in the same vein with its original craft shops or CHABARA, a huge shop specializing in all regional foods in Japan. In Akihabara, we walked along the main avenue. This particular Friday afternoon, there were many tourists in the shops and on the street. I was pleasantly surprised to be able to discover places that did not only belong to the Otaku culture, including a pretty gallery under the former Manseibashi station where there is also a café with a view of the railway tracks. I love taking in an elevated view of all the cities in the world, and more particularly in Tokyo, to be able to see the sunset, the skyline and see the city transform itself from day to night. 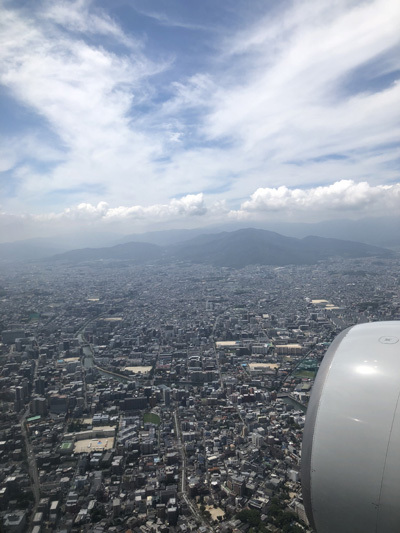 Having tested several viewpoints in Tokyo, the Tokyo City View from the helicopter platform, in the open air, is the most beautiful view of Tokyo. 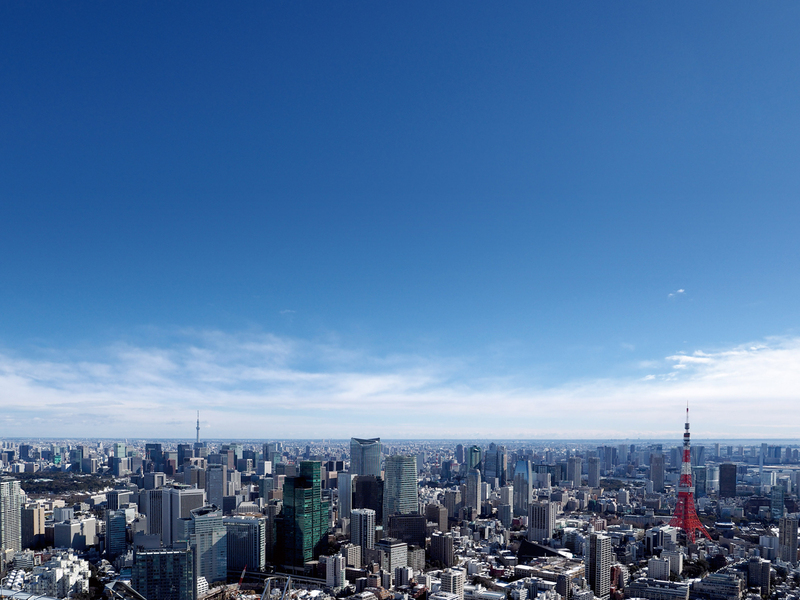 It's 360° of pure happiness, with a view of all of Tokyo and even Fuji in good weather. The sunset was all the more shimmering. A magical moment and several hours of contemplation and pure happiness! Mori Salvatore Cuomo restaurant in Roppongi Hills is an excellent Italian restaurant, where you can taste different Italian specialities. 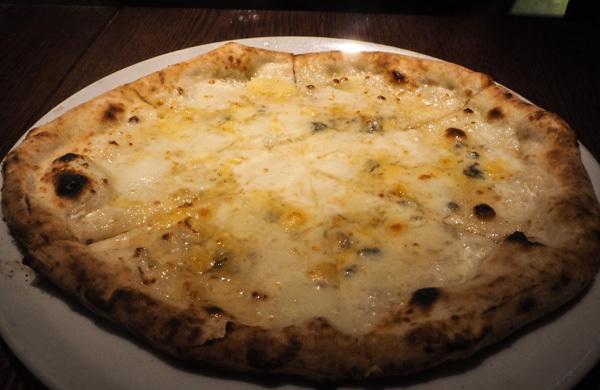 The fish carpaccio, four-cheese pizza and lemon pie... everything was delicious and had a nice little taste of Italy! There is a very cosy and festive atmosphere in the evening, which makes it a good option after climbing to the top of the Mori Tower to see the view. We went to see an exhibition on Japanese architecture at the Mori Art Museum. The exhibition was interesting with both old and modern Japanese architecture. 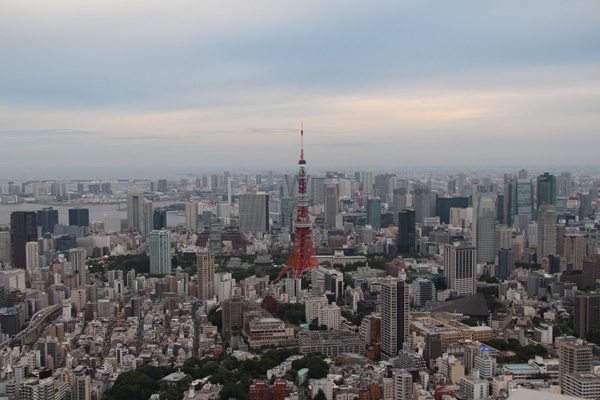 Then, we climbed on the roof of Roppongi Hills to admire the most beautiful view of Tokyo. The sky was very cloudy but finally cleared up as the night fell to offer us a magnificent fire-like sunset. The restaurant for dinner offers many options on the menu to satisfy your desires for European cuisine: pizza, pasta and wine by the glass. We ate very well and had a great evening. I had the opportunity to test several hotels in Tokyo and Roppongi Remm is undoubtedly my favorite. 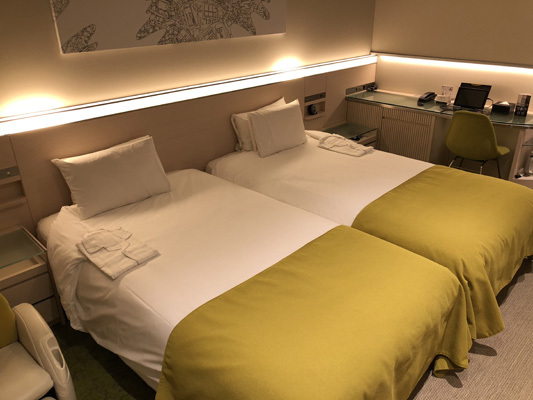 The room is very spacious and comfortable, the bathroom has a spectacular view and there are many little extra touches designed for travellers: the ambient fragrance, the massage chair, USB sockets, etc. 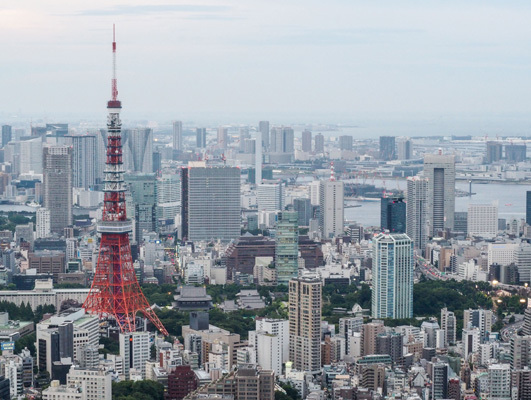 The view of all of Tokyo is incredible, the staff are very friendly, and the breakfast is really, very good and varied, with Japanese and Western options. 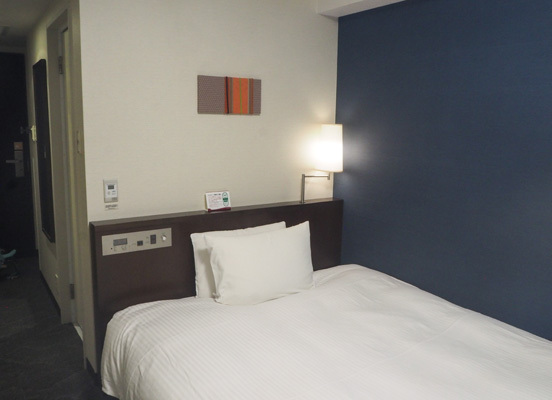 Even though the hotel is located in the heart of Roppongi and 1 minute walk from the metro, it is very well soundproofed and you can rest from your long Tokyo-style days without any worries. 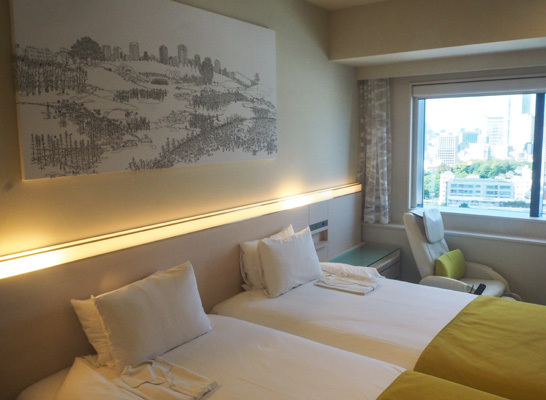 The Remm Roppongi hotel felt brand new to me because the rooms were so clean. 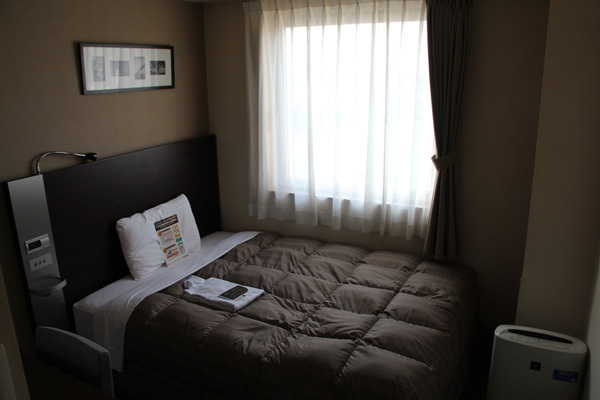 They are very spacious and my room offered a view of the Tokyo Tower and the Skytree. The bathroom had a window of the city for a really interesting shower experience. The beds were comfortable and the room was well soundproofed. It is always a pleasure to fly with ANA. 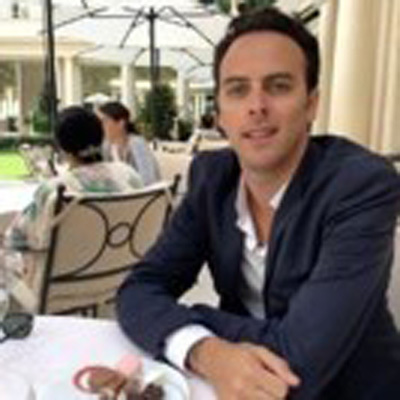 The ground and on-board staff are very friendly and the flights are on time and comfortable. In Haneda, we were able to test the very sophisticated automated customs clearance system! ANA is a Japanese airline serving most parts of Japan. 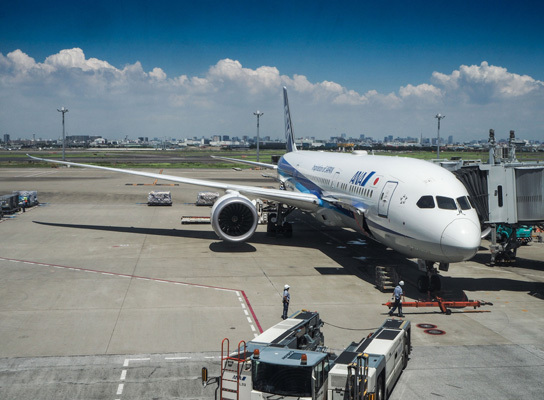 Offering quality services and ideally located, Haneda Airport will allow you to reach downtown Tokyo very easily (less than 30 minutes from Shinagawa JR Station). Cucina Frutta is a small, unpretentious restaurant in Fukuoka, but the very friendly, family atmosphere make it the perfect place for a lunch break. 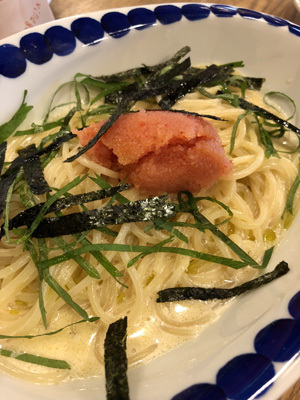 I really enjoyed my simple pasta, but also tasted mentai, a typical ingredient of the region, in the form of baguette or pasta. Not to be missed! 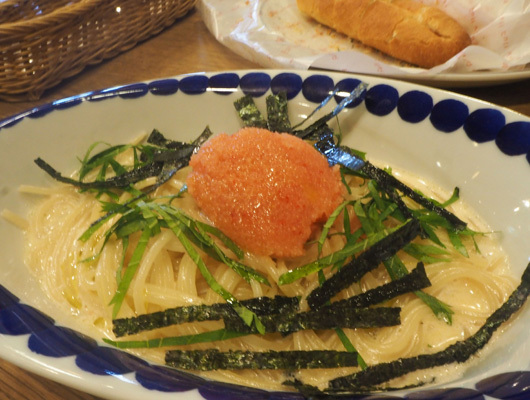 The place was nice and I liked the menu which offers a kind of fusion cuisine between Italy and Fukuoka, including mentaiko pasta. It was very good. The Munakata Shrine is undoubtedly one of my favourite places on this trip to Fukuoka Prefecture. It is a shrine with a very special history and symbolism, and is fascinating to visit with a guide to learn more about the symbolism and history of this site. Beyond that, it is a very peaceful and pleasant place, shaded, good to visit in all seasons for its beauty, its nature and its spirituality. I really enjoyed my visit to the Tanga Market, which still preserves a very traditional and authentic atmosphere today. 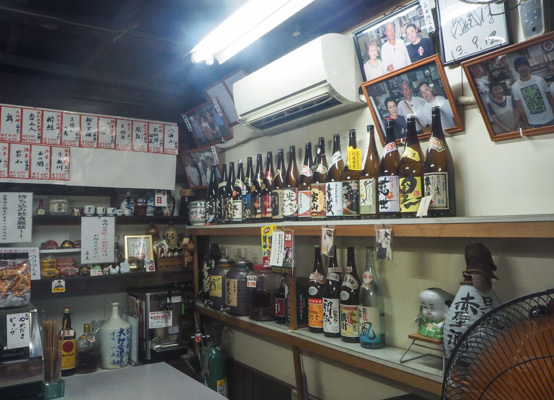 We tested the concept of kaku-uchi, a standing bar in a sake and alcoholic beverage store, where you can chat with the locals whilst taking a break and drinking sake. The concept is truly unique and allows you to really get in touch with authentic Japan. An activity not to be missed in Fukuoka Prefecture! Munataka Taisha will remain my favorite visit of this trip. 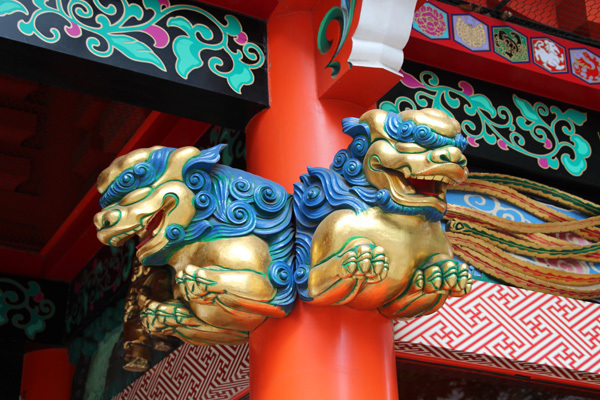 It is the main shrine among a group of about 6,000 Munakata shrines throughout the country. It was also designated a UNESCO World Heritage Site in 2017, and is therefore well worth a visit. 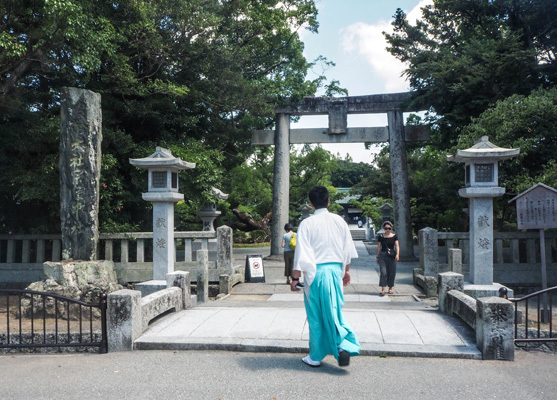 From what I have heard, some volunteer guides offer free weekend tours of the site; ideal for anyone who would like to know more about the history of Munakata Taisha. *During my visit, we were guided free of charge by a volunteer guide thanks to an ongoing campaign. Normally there is a charge to visit. We went to the Tanga market, which opened at the beginning of the Taisho period. This is a historic market, also known as "Kitakyushu's kitchen." 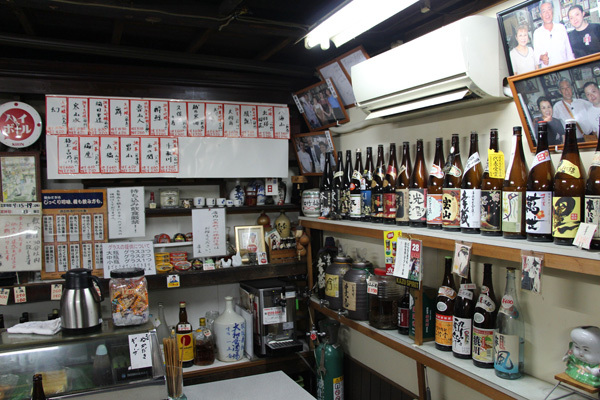 There is a bar, kaku-uchi, where you can enjoy sake standing at the counter while talking to the locals. A place I really liked to experience the authentic Japan. I had the opportunity to attend several matsuri throughout Japan on my various trips, but I was looking forward to discovering the Tobata Gion Yamagasa festival in the suburbs of Kita-Kyushu. This festival is very well known, and I was delighted to be able to immerse myself in the festive atmosphere of the matsuri, but also to see the different yamagasa, the floats worn by the inhabitants. The floats are beautifully decorated with lanterns with different inscriptions and it is a real tour de force to see these races with the floats! After a train ride, we arrived in an alleyway lined with dozens of food stands and filled with people. The Tobata Gion Yamagasa Festival is a popular Japanese festival (matsuri) that takes place every year in Tobata, a ward in Kitakyushu, Fukuoka Prefecture. It has been included in UNESCO's intangible cultural heritage since 2016. The festival is very dynamic and its participants, young men wearing happi (festival costume) and hachimaki (headband), are very energetic. They wear the Yamagasa (festival float) and walk around the city while shouting "yoitosa yoitosa." The atmosphere is incredible and this matsuri will remain one of the most beautiful memories of this trip. 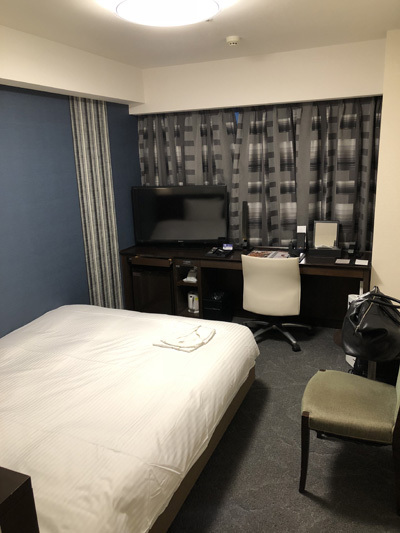 We stayed at the Comfort Hotel, located in the heart of the lively city centre, which makes it an excellent base from which to travel to Kitakyushu. You will have a nice view of Kokura station and can also take a nice walk to Kokura Castle. The village of Ashiyagama no sato is a fascinating and exciting place, where I was able to learn more about the smithing of traditional kettles, their history, but also their resurrection today in Ashiya. I found it very interesting to discover more about this activity in video, but also in the museum, in the workshop and with our guides. The site also has a pretty Japanese garden and a tea house, where it is nice to take a walk, participate in a tea ceremony or feed the carp. The Ashiyagama no Sato foundry is the beautiful surprise of this trip. 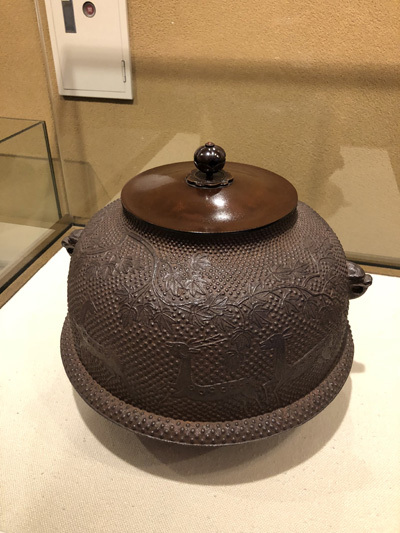 In a superb location, we were able to discover the kettles used for the tea ceremony and learn a lot about this craft tradition and its manufacturing secrets. I also enjoyed the garden and the tea pavilion where we enjoyed a matcha. Immediately after World War II, easily movable food-and-drink stalls appeared one after another in the devastated townscapes; this was the beginning of yatai. 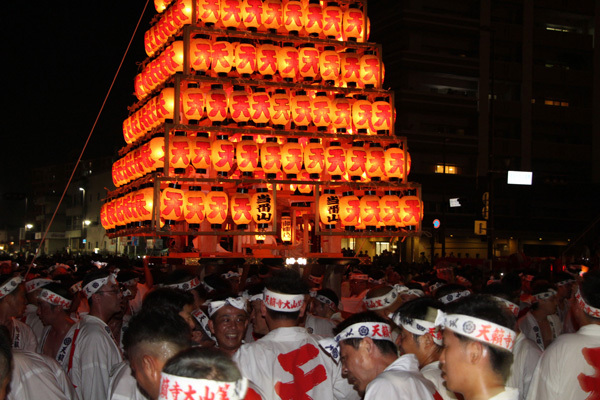 They are a nighttime specialty of Hakata, and are dotted all over Fukuoka City. 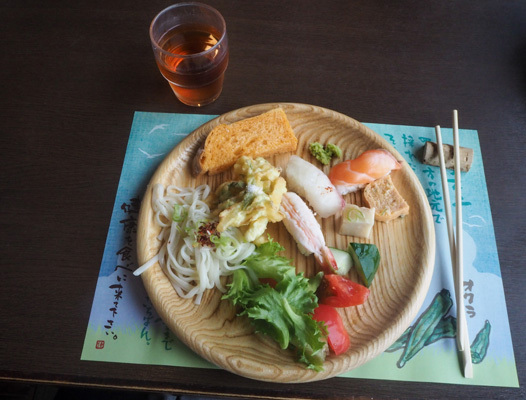 Here, you can eat foods such as ramen, gyoza, oden, tempura, and fried foods. 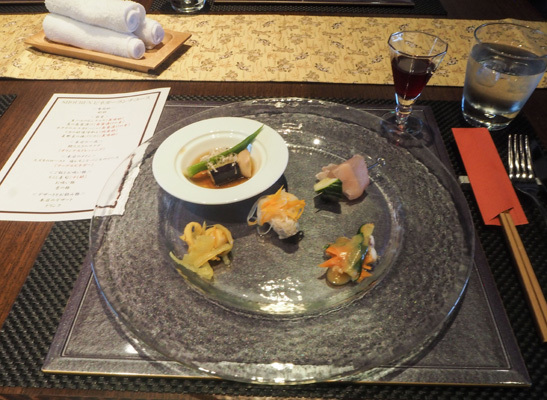 I really liked the Yahataya restaurant for lunch. 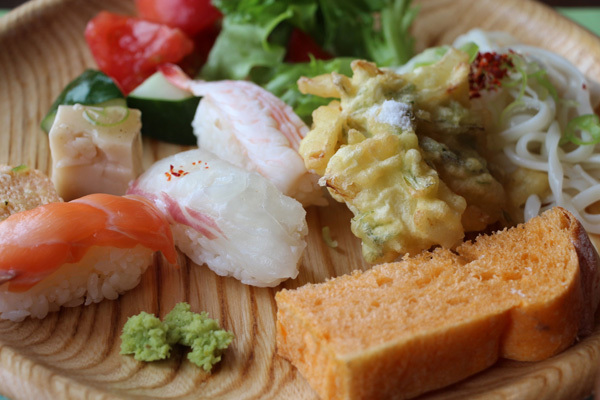 It is a family-style and friendly buffet restaurant, with a wide variety of Japanese food for all tastes. The restaurant has a sea view and there is even an onsen. We went to a museum called Hakatamachiya Furusatokan that offered to paint Hakata Ningyo, dolls from the Hakata district of Fukuoka. I had a lot of fun bringing my doll to life, under the guidance of an artist and in a cosy studio. Later, we briefly visited the Kushida shrine. This temple is really worth a visit, especially for the beauty of its wood carvings. The Yatai were closed due to a typhoon, so we went to an izakaya. The atmosphere was very good, the waiters were very friendly and everything was delicious. I hope to also visit Tenjin's Yatai on my next trip to Fukuoka. We stopped to eat in a buffet restaurant by the sea. A family atmosphere with many children and many fish. 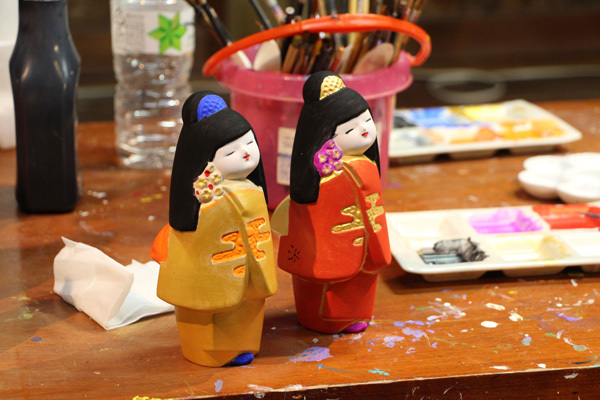 We were then able to take the time to participate in a Hakata ningyo doll painting workshop. 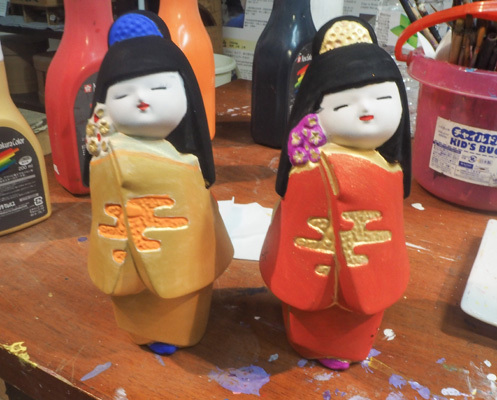 Hakata dolls are traditional Japanese dolls made of clay, originating from the city of Fukuoka - part of which was previously called Hakata before the city's merger in 1889. Hakata dolls made their name at Japan's national industrial exhibition in 1890 and at Japan's national industrial exhibition in 1890. They were also presented at the Universal Exhibition in Paris in 1900, where they received increased international recognition. Painting these dolls was a very relaxing and rather amusing experience. This will personally remain a very good memory. In front of the centre of Hakata ningyo is the Kushida shrine, in the centre of Hakata Gion Yamakasa. This Shinto shrine, one of the most popular in Fukuoka, was reportedly founded in 757. Today, the site is a popular place for people wishing to pray for success in business. People also come here to pray for young people and for a long life. 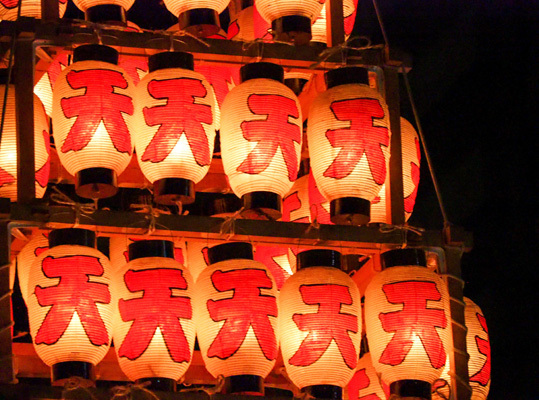 In the shrine, you can admire the famous floats of the Fukuoka festival, Hakata Gion Yamakasa, displayed all year round. These incredibly decorated floats can reach several meters in height and each weigh more than a ton! If you don't have a chance to see the Yamakasa festival, when people carry these floats around the city, stop by the Kushida shrine. 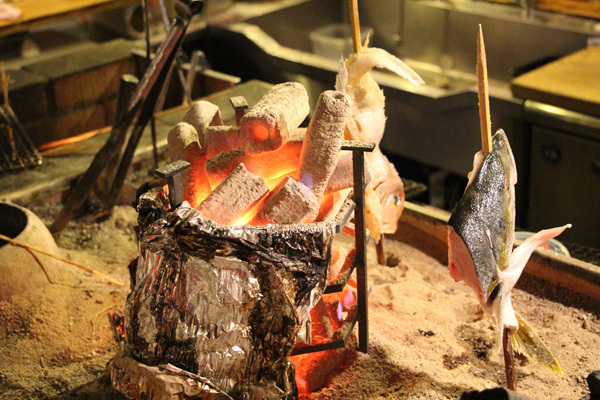 The Yatai was closed due to a typhoon, but we went to a very nice Izakaya whose specialty was grilled fish. The atmosphere was friendly and the meal was very good. I would like to visit the Yatai and try various dishes in the future too. An excellent business hotel, spacious and comfortable, with very good service. I liked the space available, especially the large bathroom, the toiletries, the friendliness of the employees, and also the smartphone with Internet available to customers. The Richmond Hotel in which we stayed is a relatively modern and very clean establishment. Located in the heart of Tenjin's district, visitors can easily walk around to shop, and find a restaurant. The room was very comfortable and the bathroom rather large. 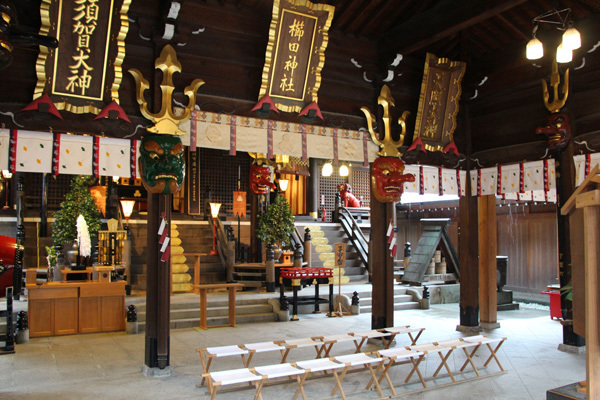 This facility has gathered traditional crafts, the pride of Yame, under one roof, including Buddhist altars, paper lanterns, stone lanterns, and handmade Japanese paper. 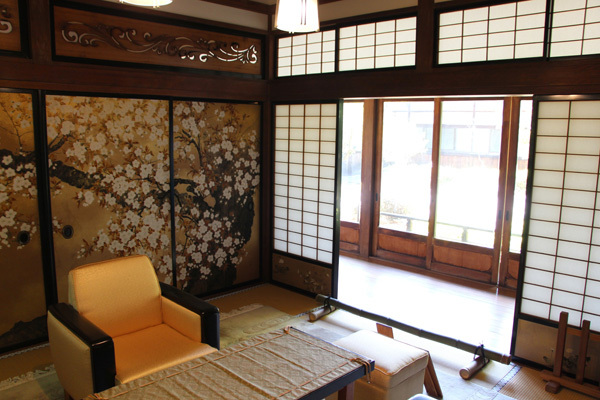 The museum displays and sells traditional crafts, offers demonstrations by artisans for visitors to watch, and you can also experience hand-making Japanese paper. 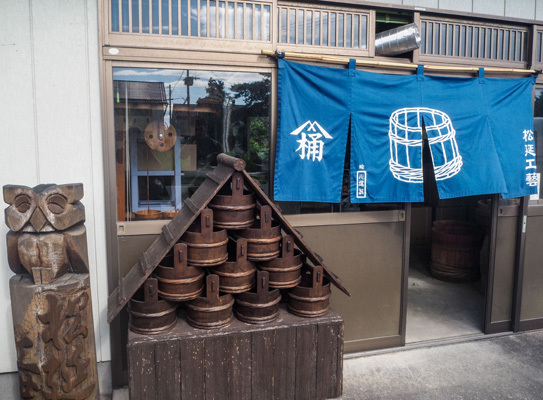 The Yame Kanko Bussankan “Tokimeki” within the facility sells Yame’s specialty products and local produce, including yamecha (tea), local sake, wagoma (spinning tops), and items made of bamboo. 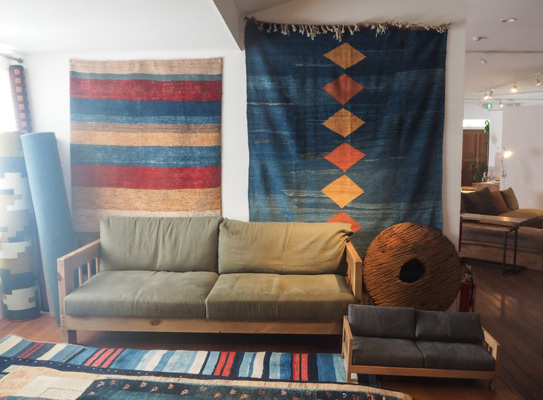 The visit to the store and the furniture workshop was interesting, to understand the importance of wood and furniture in the region, as well as how an artisan renews himself to stay in the spirit of the times. We also discovered a unique woodworking technique, kumiko, which I was able to try for myself. Shoubun is a truly unique restaurant. The cuisine is refined, the atmosphere is sophisticated and the service is impeccable. 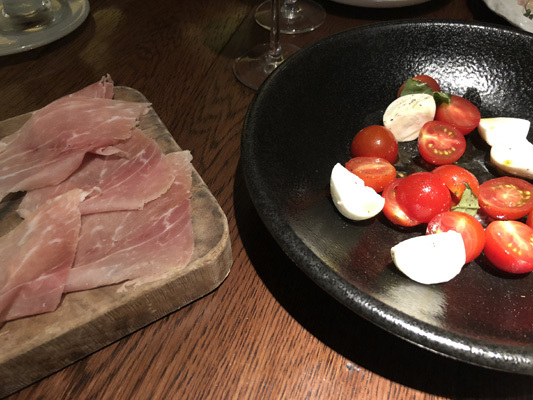 I really enjoyed this meal, discovering new flavours and cooking techniques! 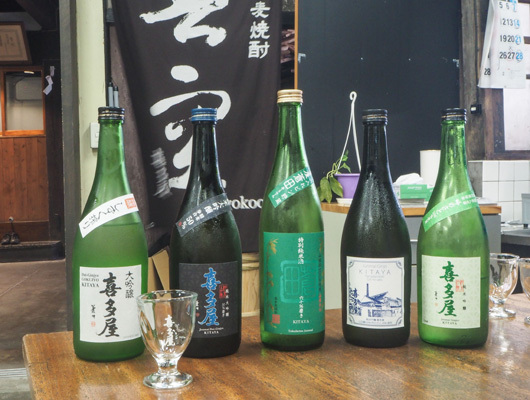 A very interesting visit to discover the sake production process. 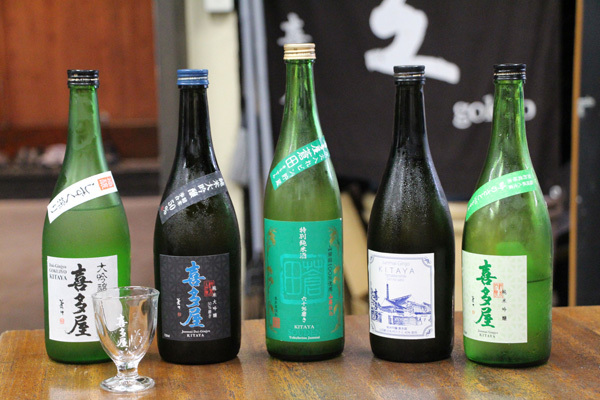 Sake tasting is part of the visit, and I found myself discovering the subtlety of the different tastes of sakes, which I had never noticed before! 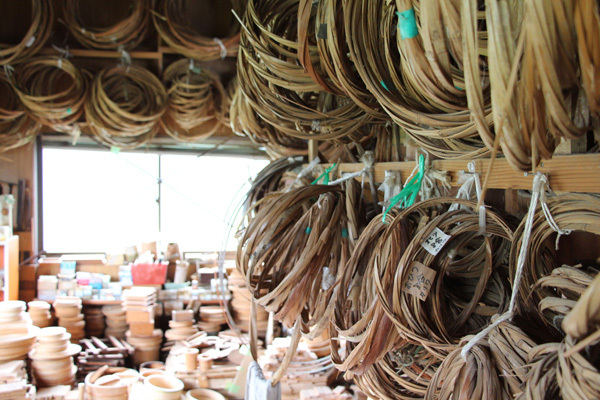 An interesting visit to discover the manufacturing of traditional Japanese wooden buckets. These everyday objects in Japan were a work of art unveiled for us! 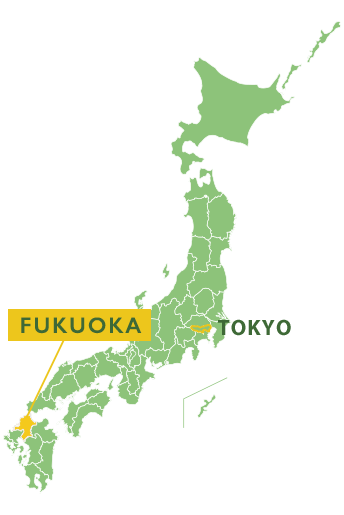 Okawa, or the "furniture city," has prospered as such for about 480 years in Fukuoka Prefecture on Kyushu Island. So, we were invited to visit a furniture factory. A wide variety of quality furniture is made here: kitchen tables, television cabinets, beds, sofas or traditional Japanese furniture. The very interesting visit allowed me to learn more about the manufacturing process of these products. 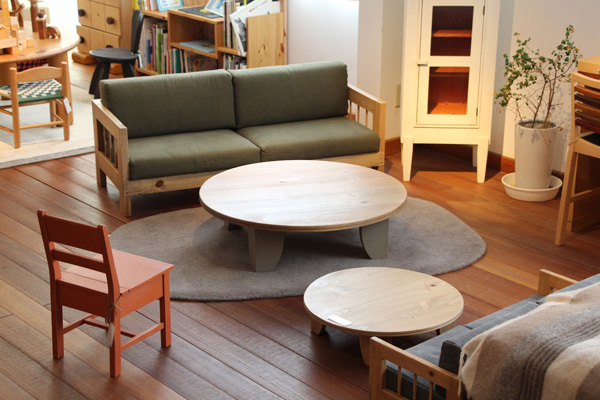 For those interested in Japanese furniture and design, I recommend a visit to this site. 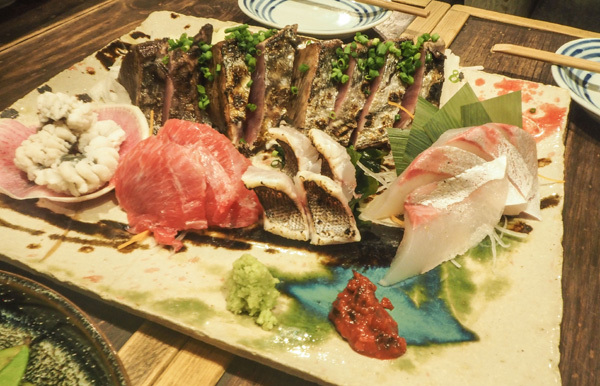 Shobun Restaurant is located in a small alleyway in Okawa City. It specializes in the production of vinegars, which is little-known by foreign tourists. So, I enjoyed discovering this culinary use of vinegar and drinking it in a glass like wine or fruit juice. Visiting the sake factory in Kitaya was great and I learned a lot about this traditional Japanese art. Bottles can be tasted after a tour of the facilities. We were able to witness the artisanal manufacture of the Japanese wooden bath tub bucket. It was a unique experience that really made me understand Japanese craftsmanship. We ate in a restaurant offering udon at Fukuoka Airport. 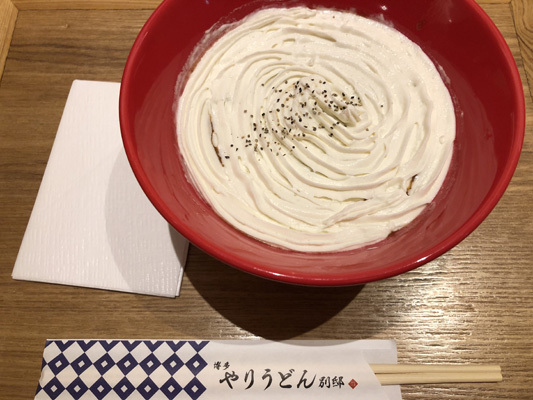 I personally chose the popular white curry udon which was very good. 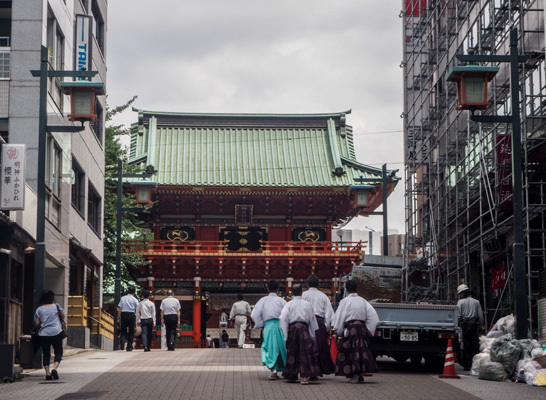 I like to discover and rediscover Tokyo, new facets of the city, unknown areas, temples and alleys. As for the prefecture of Fukuoka, I was charmed and would gladly come back to explore the prefecture for a longer period of time, especially its nature. I really enjoyed discovering the shrines, the specificities of the region, the traditions and history mixed with modernity. For my highlights, I have an incredible memory of the sunset in Tokyo and the visit to the Munakata shrine. They were two completely different moments, with the power of nature stong at each. It was an interesting trip. I really enjoyed the sunset on the heights of Roppongi on the first day in Tokyo. I appreciate the modern side of Tokyo, but also its more traditional aspects, as can be seen at the Kanda Myojin shrine for example. The days spent in Fukuoka were very pleasant. My favorite parts of the stay were the visit of the Munakata Taisha shrine and the discovery of the festival. 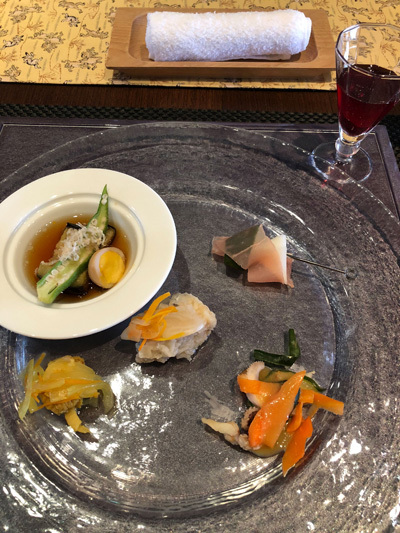 I greatly appreciate the traditional aspect of Japan and I would like many other travelers to also discover the historical and traditional part of Fukuoka and its cuisine. I was happy to discover a new region and a new prefecture that I did not know at all. There are so many things to see and discover in Japan, even after dozens of trips, and Fukuoka has a unique atmosphere not to be missed! 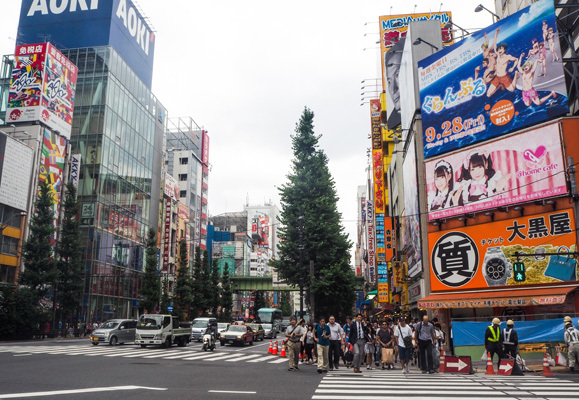 Tokyo is the starting point for most holidays in Japan for foreign tourists. 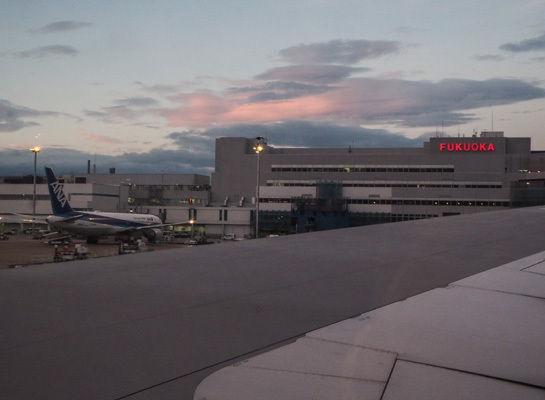 To get to Kyushu from Tokyo, flying is an option worth considering. In the KYUSHUxTOKYO project, the mix of shrines, pop culture, nature and crafts that was proposed to us has been well thought out and should seduce many tourists, especially French.